Charles Fadel will be speaking on “Creativity, Curiosity, and Collaboration” at the upcoming Learning & the Brain conference. 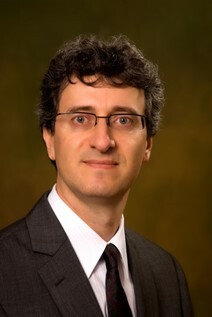 He is the founder of the Center for Curriculum Redesign at Harvard’s Graduate School of Education. 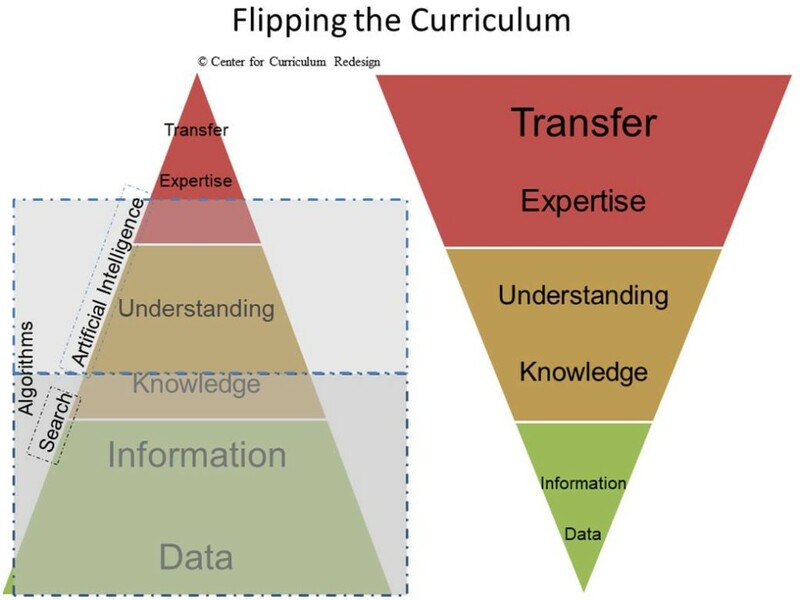 Most educational reform focuses on the way the teaching happens: project based learning, or flipped classrooms, or technology, or that sort of thing. Your focus is more on curriculum, which is to say, what it is that teachers are actually teaching. Why have you chosen that focus, instead of the method of teaching? When I was at Cisco, we started the Partnership for 21st Century Skills; we started looking at the skills that make people successful all their life. But as I started getting more and more into this question, I realized—wow!—in the past 50 or so years everyone has been so focused on how to teach better, because somehow we assumed that what we taught was adequate. And it was probably adequate since the Industrial revolution, to a point. But nowadays, it’s really not adequate anymore. There are several difficulties with this question. 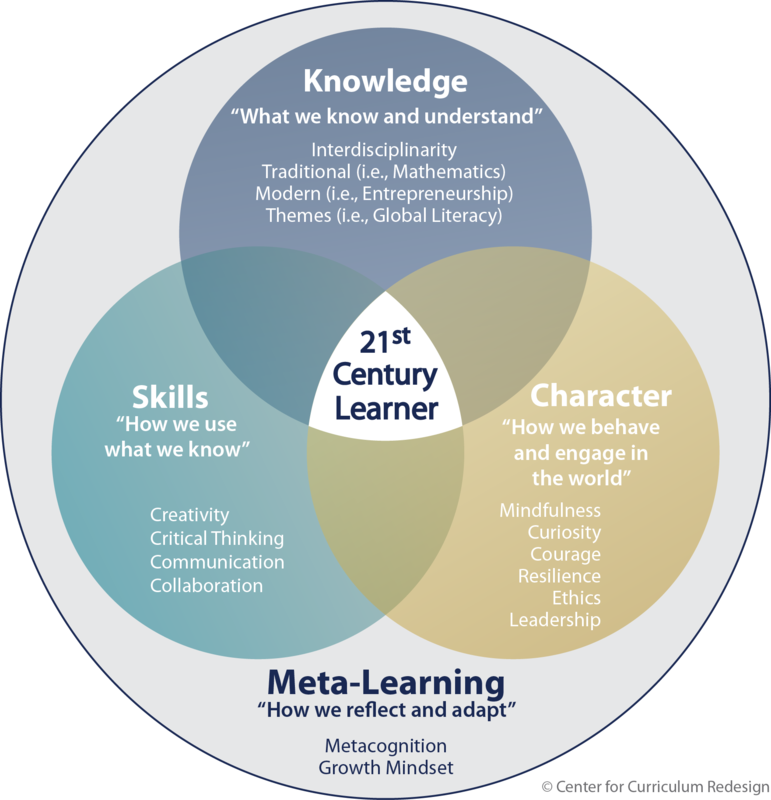 First of all, if the curricula are already chock-full of knowledge items, there is no time and space available to teach skills, and character qualities, and meta-learning abilities. And systems are very, very resistant to removing some things so that there might be time and space for these new competencies. Second, there are all sort of human dynamics at play. Do you think that a literature expert will say, “Well, that’s fine, we can just read two books this year, and the other eight we’re just going to do cliff notes.” That’s never going to happen. Right? Third you have the politics. As I go around the world, I realize to what extent the curriculum is prisoner of parliaments and politicians. And they, for political expediency’s sake, decide some of the things that are taught. Whether it’s history, or languages, or so on—and these decisions also crowd the curriculum. People are generally in favor of math. Well, yes, we are too, but should that mean that we abdicate our responsibility entirely to the hands of maths academics? Who have no idea about how math is used in the real world. So, for all of these reasons, I realized—wow!—the curriculum is in trouble. What should we be learning? Do we need to learn the multiplication tables? Yes, no, and why? Do we need to learn long division? Yes, no, and why? very importantly, combining all these disciplines with the competencies that need to be developed. By “competencies” I mean skills, character, and meta-learning. How in the world are we going to do all this unless we curate what’s already on the dockets? The current curriculum a bit like a budget deficit, you know. Every single line item you can justify in insolation from the rest. You know this restaurant you went to with your significant other, that was a good thing to do in isolation. But, you do this too many times and you’ve broken your budget. So every single line item in the curriculum needs to be scrutinized, and that’s not something that disciplinary expert groups are particularly well suited to do left on their own—because of the “expert bias” I described before. I can tell you from my own school experience that the battles fought over curricular changes are quite fierce. So, it’s a good thing the Center for Curriculum Redesign exists. Okay. I’m going to change gears to introduce your talk at the up-coming Learning and the Brain conference. That talk, as I understand it, focuses on creativity, curiosity and collaboration, which are in the Skills portion of your book. Actually “creativity” and “collaboration” are Skills, but “curiosity” is in the Character portion. Oh right, okay. I want to think about those topics in reverse order. Starting with collaboration: Is the way to teach collaboration just say, “Hey everybody, you have to work together to perform this task” and assume they’ll figure out how to collaborate? Or is it a skill we can teach with a collaboration curriculum? If “yes,” how do we do that? Any single one of these 12 competencies that we have identified in the book’s framework can be taught. The same way that there are better techniques for how to deploy projects, there are better techniques for how to collaborate. For instance, by understanding the psychological make up of your team members. In the corporate world, for example, we use the Myers-Briggs Type Indicator. I’m not saying that the Myers-Briggs has huge science behind it, but I’m saying that it’s a facilitator of the conversations of team members. The Myers-Briggs test might say, this person has a certain dominant personality characteristic, and that’s why they are not comfortable making decisions right away. Whereas I’ll be tempted to just jump to a conclusion and make a decision early on. The test helps me take a deep breath about my own behavior, about their behavior. It forces certain metacognitive views of people and the world. So that’s the sort of thing you can do to understand yourself and others better. That’s part of what you would want to learn to better collaborate. You can also teach certain group principles, such as respect. Making sure that everyone has a chance to speak. Even that shy introvert in the corner. Make sure the team leader puts the spotlight on them and says, “you can you speak now, or if you’d be more comfortable you could send me an email.” Et cetera. So, there are all sorts of techniques. To use communication analogy: the same way that they tell you “don’t wear a striped shirt when you go on camera,” you know there are plenty of tips and tricks that one needs to know to improve collaboration. And so all of these things need to be taught. In fact, they should first be taught to teachers, because they have not necessarily been in a collaborative environment themselves. It’s such an isolated profession! Got it. Let’s talk a little bit about curiosity. Schools have a really bad reputation about curiosity and are often are accused of interfering with curiosity. Can you think of ways we would be better at promoting curiosity? Remember, schools have to cover a certain amount of material in a certain period of time. Yes, we want to give students enough agency and free will to learn things their own way. But at the same time, there’s not an infinite time to allow them to experiment forever. And so that’s the complexity of the balance to strike. Now can traditional schooling do a far better job? Absolutely. But I’m saying schools don’t have to be entirely one way or the other. Just as research shows that we need to have the right balance between didactic instruction and constructivism/projects, we also have to have the right balance of student choice and student non-choice. Now, should we err in the direction of student choice right now? Yes, because we’ve gone too far in the wrong direction of non-choice. With that said, there are ways to bring these approaches together. For instance, let’s say that the curriculum says you’ve got to learn robotics. The choices could be: well I’m going to do a swimming robot, and you’re going to do a flying robot, then the third person is going to do an underwater robot. But Robotics are important so everyone has to learn that – their own way. And you can have finer-grade choices as well. Everyone does need to understand robotics, but we don’t all need to go beyond basic skills in programming. If that is not where my forte is, I’m going to devote more of my time to making the robot emote and mimic emotion—because that’s what I’m attracted to. I want to go into anthropology later, so emotions are my interest. So you see, there’s a blend of requirements and choices: meaning, even the anthropologist has to understand how to code. But, the anthropologist doesn’t have to be the best possible coder. So we recommend a constant blend of choice and prescription. There’s an important graph we have in the book. 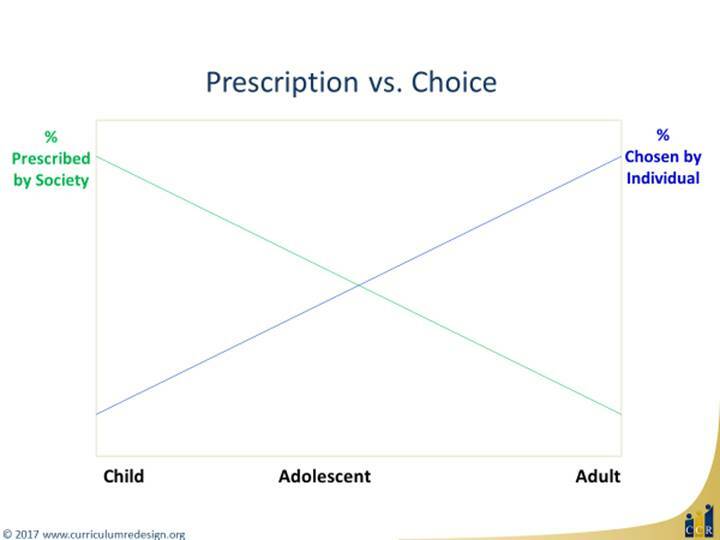 The ratio between choice and prescription changes over time. But, by high school, it’s certainly clear that if you want to do a given type of project, you should have some latitude. And so the ratio of prescription to choice changes over time. In some ways it sounds like curiosity and collaboration work well together. Because I’m curious about anthropology, I’m going to collaborate with someone who has more technical skills in this robot building process. The fact that I’m working collaboratively in a team means I get the focus on the thing I’m most particularly curious about. Yes. These 12 competencies are not isolated; they’re not silos in our brains. All 12 interplay with each other. Let’s change gears and think about creativity. What strategies do you see out there that are going to be helpful in teaching students creativity? Remember that CCR focuses on the what—the curriculum—not the how—the teaching methods. If your questions relate to classroom techniques, I’m really not the right person to ask. But, we have to be clear about the where. These competencies must be practiced in as many disciplines as possible. We might be tempted to say: “arts teach creativity.” Well for creativity to stick – to transfer – it has to be activated in several different disciplines. We would want as many disciplines as possible to develop as many competencies as possible. At the same time, let’s not fool ourselves. It may be a bit exaggerated to say that every discipline can help with every competency. So for all three of these—for collaboration, curiosity and creativity—you’re not at this point advocating teaching strategies. You’re making an argument that we have to teach these competencies, and you’re putting together a cognitive framework to help teachers think about how they inter-relate with each other. We’re trying to make sure that—at a minimum—each discipline is tasked or not tasked in developing them. Could you teach collaboration in every single discipline? Yes. Are some—like engineering and art—more conducive to that? Yes. Part of the complexity is that teachers want to say: yes, I agree with you. Let’s all teach collaboration. However, perhaps some disciplines are better suited for some competencies than others. It’s exaggerated for every discipline to think that they’re going to do everything. In the book, you describe your work as “incrementally ambitious,” which is a very fun phrasing. Can you unpack that a little bit? Sure. If you use a word like “radical,” it sounds good for getting on the New York Times front page. But, you know, that’s really not the point. “Radical” implies you throw away the existing system. You “disrupt,” which is a term that is so over-used. We want to profoundly change, but in an evolutionary, not revolutionary sort of way. But it’s a lot easier to take down than to build. And so the challenge for the CCR is change management. That’s why we have to be ambitious, but incrementally so. The people who are at Learning and the Brain conferences, by definition, those are people who want to change what we’re doing. But, we don’t want the change to mean that everything we’ve ever worked for goes away. We want to be better at what we’re doing. Which is why the ambition has to be incremental. It’s a lot easier to hope for some magic solution, perhaps using technology, some extraordinary e-tutor. You just hope, oh if I only had a magic wand. That’s not the way the world works. If a magic wand exists, we haven’t found it in the teaching world yet. Or in the technology world. This paper outlines the CCR model for curriculum redesign. 4-Dimensional Education can be downloaded from the CCR website.